Dr. Barnett, the Principal of Barnett Technical Services, has a wide range of technical and business experience that allows us to provide a unique level of service to our clients and customers! Dr. Barnett specializes in the application of optical methods towards the characterization of materials across a wide range of material classes. Dr. Barnett received his Ph.D. degree in Chemistry from McGill University developing optical methods to quantify and characterize organometallic, inorganic, and biological materials. From 1993-1997, Dr. Barnett worked as a Research Fellow at the National Institutes of Health with work emphasizing the application of infrared and Raman spectroscopy for biophysical studies of G protein-coupled receptor model systems. Since 1997, Dr. Barnett has worked in a variety of industries related to the application of optical methods for materials characterization. He has worked on optical instrumentation from the UV-Vis to far-IR wavelength range with measurement capabilities that range from near-field microscopy and imaging methods to the characterization of bulk materials. Dr. Barnett has also been active in the Society for Applied Spectroscopy (SAS) as a member of the Executive Committee and the Governing Board in addition to serving as President of the Northern California local section for many years. He is also active in the SPIE and the American Society for Trace Evidence Examiners (ASTEE). 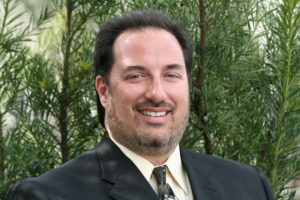 Dr. Barnett holds an MBA degree from the Graduate School of Management of the University of California, Davis with an emphasis on technology management, organizational behavior, and entrepreneurship. Peter has spent a lifetime working on cutting edge technologies. Starting with desktop publishing using the innovative Apple and Adobe products in 1994, Peter quickly moved into creating marketing on the brand new world wide web. Working for corporate and entertainment clients, Peter grew his company into a San Francisco stalwart by the end of the 1999 with 24 employees. As the web evolved, moving into enterprise big data websites was a natural progression. Next Peter spent a decade in the games industry making both board games and video games. Starting as a developer, Peter worked across the industry rising to executive producer and Art Director. The move into innovative analytical tools continues the trajectory of working with the latest in cutting edge technologies that Barnett Technical Services brings to the latest technology problems. Mr. Hansell holds a Bachelor of Arts in Industrial Design from San Francisco State University and an Masters in American History from California State University East Bay. Andrea Barnett joins BTS after 35 years working for the State of California. She helped develop and implement strategic plans and onboarding programs for new executives, created a resource site for managers, and trained staff and managers in basic Project Management. Previously, Andrea was a training manager responsible for implementing a number of new programs. She also acted as a Budget Analyst which resulted in her department receiving increased funding on numerous occasions. We are excited to welcome Kelly Grym as our newest addition to the BTS team. Kelly brings a very unique perspective to our team with her 22 plus years of experience as a purchasing agent/business manager from the public sector in the NYS Education system. She comes to us with a stellar background that includes project management, accounting, budgeting, and vendor management. Kelly will take on an integral role as Administrative Assistant as our company continues to grow and thrive. Dave is the Principal of Qwest Scientific and has extensive experience in all aspects of the laboratory instrumentation industry. At various times Dave has designed, built, serviced and sold analytical instruments. His experience encompasses many major analytical instruments and supporting techniques including sample preparation and pretreatment. His performance as the premier manufacturer’s representative on the West Coast has allowed him to build an outstanding sales organization. Gordon has decades of experience in the analytical instrumentation industry. He acts as our Representative in the Pacific Northwest.